So you heave a huge sigh of relief and feel that you have achieved a major goal no matter what programme you have studied, Bachelor in Business Studies (BABS) or MBA. When the euphoria has died away you are left with decisions to make. There are choices to be considered. Do you want to continue studying to add to your skills, competencies and knowledge or do you want to make use of these in the pursuit of a career in employment? Let’s take the first option. If you have completed your BABS, you should consider whether you wish to carry on in the same pathway or whether you want to specialise in some aspect of the knowledge that you have gained from your completed course. For a BABS graduate possibly an MBA with LSC most easily meets the first alternative or would an MSC in, say Finance or in Marketing, suit you better? There is a multitude of courses to choose from. You need to get onto the Internet and search for the course that meets your level of qualification, the location you prefer and your pocket. Only you can make that decision. The same basic situation faces you as an MBA Graduate. You have a choice of a further Masters qualification in a specialist area, going into greater depth in your current stream by completing a Doctorate in Business Administration, or meeting your desire to contribute to the store of new knowledge from a PhD. For the first option again, get onto the internet and search for that which meets your needs. You need to remember that LSC offers both DBA and PhD options. 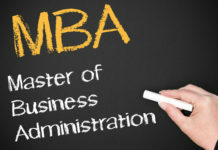 For those of you who wish to follow the PhD pathway, you will probably need to have achieved a credit level in your MBA. That is only the first step, since you will be required to create a proposal for the subject that you wish to research and in that proposal you will need to show that there is a strong likelihood that it will lead to new knowledge being generated. That will need to be backed up by evidence that you have researched the subject. For the second option, the big wide, wild world of employment presents a different set of choices and hurdles to be surmounted. What sort of employment has your qualification fitted you for? Does it match your inner aspirations? You need to be ruthlessly objective with yourself. There are many job opportunities – look carefully at the selection criteria and match them to your achieved level of qualifications. Remember you will be competing in today’s job market with many others like yourself but possibly with others who not only have the same qualification but who have practical experience in using their knowledge. Employers prefer to avoid paying out large salaries for nothing whilst you are building your experience. So how can you create a sustainable competitive advantage for yourself? Develop outside interests that display your competencies, join clubs and organisations and play a leading part in their activities. Find out what sort of person you are; to date you only really know your worth in an academic sense. There are many things you can add that will increase your attractiveness to an employer, but, probably more importantly, which build up confidence in yourself to improve your success in getting a job. Do you know what is your style of learning, or how you behave in working in a team, what is your leadership style and even what sort of job would suit your personality? There are many inexpensive tests available on the internet to help you answer these questions. From my own experience, I was astonished in my forties, when I used such facilities to answer such questions and I know that this knowledge answered many questions I had concerning myself and my abilities. They enabled me to develop a stronger, more confident view of myself and my abilities which I used in successfully developing my career. How I wished they had been available when I left University!